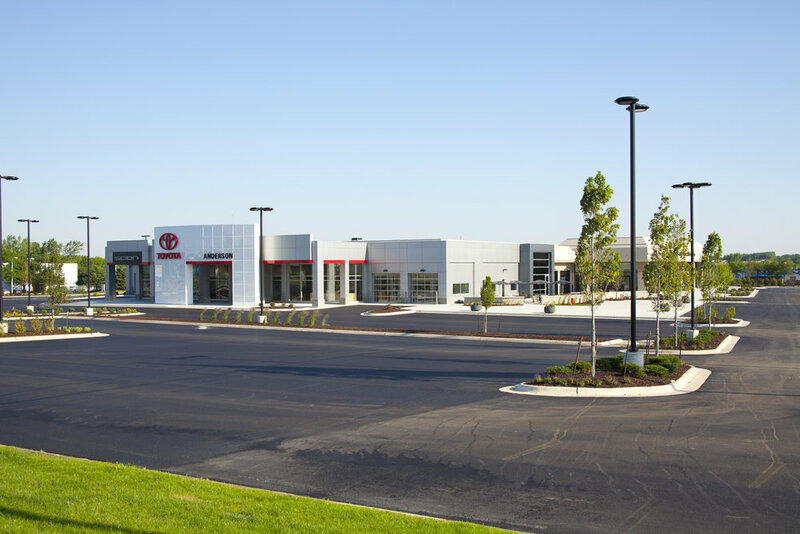 The largest dealership in the area used precast wall panels for the structure for the service area and showroom. Several of the panels are fully insulated with an architectural finish. Exterior panels have an architectural finish of colored concrete and sandblast.